Bulgaria is one of the few places in the world where the nature is so generous giving so many beautiful and different gifts to the landscape. Here, there is an old saying: When God created the Earth and gave all goods of nature to different countries, some took the beautiful mountains, some took the generous lands and others, the azure coasts and seas. And when finally Bulgaria's turn came everything had already been given and there was nothing left. 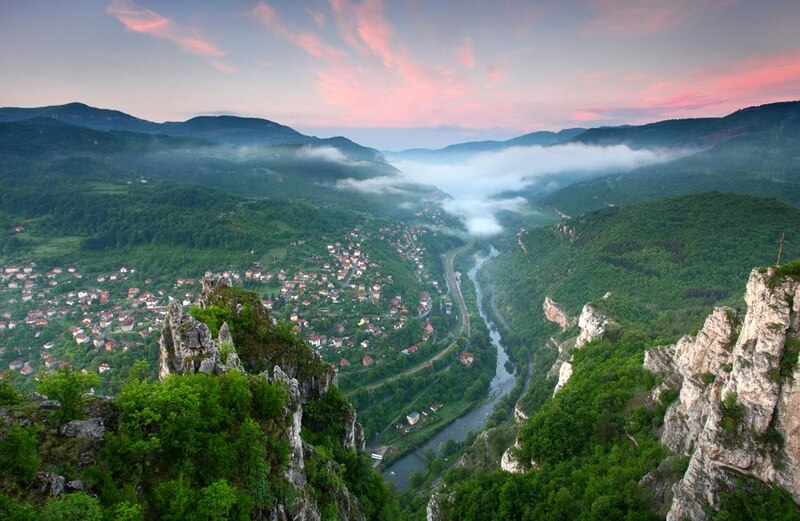 So God took a piece of wonderful nature from every other country and gave it to Bulgaria. Bulgaria simply resembles a continent in miniature because of its very varied relief and miraculous working which are difficult to measure. Bulgaria has four beautiful mild seasons and a gorgeous nature. Eye-catching mountain lakes, endless sunny beaches, dreamy scented rose valleys, curative hot springs and deep chilly caves coexist in harmony. But in order to complete this portrait one needs details from the charm of this country that could be felt only in direct contact with it. Identified some years ago as "a sleeping beauty about to rouse her self", Bulgaria is now very much awake to her potential. With an economic climate attracting property investment from all parts of the world, a dynamic tourist industry and a structural development programme on track for full EU membership in 2007, the Bulgarian success story is evolving daily. Combine all of that with a rich and mysterious cultural heritage, a wealth and diversity of nature that simply takes the breath away and a rural tranquility hard to find anywhere else in Europe and you have a sense of what makes Bulgaria such an extremely attractive Balkan Beauty. In the past few months media focused on the possibility for property bargains to be found in the towns and cities of Bulgaria, in rural and village homes, in the ski resorts and in beach-front apartments on the Black Sea. The collective message is that Bulgaria is a place to be and a place to buy. Property price rises of over 20% p.a. There are thousands of properties and houses for sale in Bulgaria today and, even if you think that you may have missed the property boat in other countries, you will find that there are still plenty of tickets available. Holiday properties, investment opportunities and rural and village homes top the property buyers' list of priorities - but demand is high and prices are rising so if you are considering a property purchase in Bulgaria we recommend you to start your information gathering and decision making now. Bulgaria is a relatively unexplored and untapped market for property buyers and offers the opportunity to maximise capital growth and rental yields. The country is right destination for both short and long-term investments, as the national economy is one of the most stable and quick developing on the Balkans. Because of the great publicity during the last year, many foreign citizens have discovered the way to Bulgaria. Here they have found out the best opportunities to invest their money in summer villas, houses for permanent residence, quality new built or resale apartments, land or properties with commercial purpose - lending. When you buy a property, have in mind that after the purchase, it can ensure you future income. 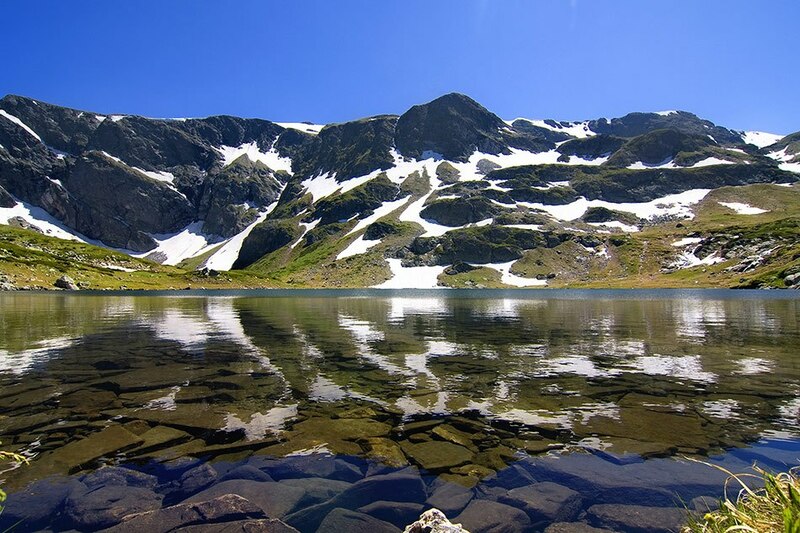 Bulgaria is most famous with Ski and Beach resorts but recently there is increased interest in rural, hunting and fishing tourism, because Bulgaria has a big potential in that area. They are one of the most perspective and fast developing tourist branches in the country. Now Bulgaria offers excellent opportunity and conditions for living and holidays as well as fast investments' return in the sphere of tourism and real estates. Most of the tourists prefer to spend their holiday away from the strenuous life in the city and they can find silence and calmness among the beautiful nature. The rural properties are attractive for people who search a holiday full of pleasant emotions, cosiness and beauty in the authentic Bulgarian way of living. Bulgarian rural properties represent a unique combination of well kept wild nature, atmosphere and authentic way of living. The inhabitants are exceptionally friendly, hospitable and adaptive people. Every foreign citizen could try to integrate with them, to take part in the agricultural activities, to ride a horse or travel by cart and forget about the urban stress and dynamics. The rural people will be glad to become your friends and help you with everything they can. The Bulgarian village will give you the unique opportunity to feel and get into a way of life, which is a bridge between different times and cultures. Each one of the tribes which inhabited Bulgaria in the past(Thracians, Slavs, Proto-Bulgarians), has enriched and created our present folklore and the diversity in our style of living, which is preserved to the greatest extent in the current Bulgarian villages. Almost 100% of the villages are supplied with asphalt-paved roads, telephone lines, coverage for the cell-phones, shops and transport, running water, electricity and all the necessary facilities, which can make your rest or permanent residence an unforgettable experience. The world record of trophy from red deer is shot in Bulgaria, with mark 273,6 points according to SIS. The country possesses 15 trophies with mark over 250 points according to SIS. Ten of the first 20 trophies in the world are Bulgarian. The world record of boar 158,2 points according to SIS. The national record of moose for the country is 208,59 points according to SIS. Trophy exemplars of brown bears from 350 to 550 points according to SIS are offered. The second in the world classification trophy of muflon - 240,5 points according to SIS is shot in Bulgaria. Wild goat - exemplars from 80 to 105 points according to SIS are offered. Wild duck inhabits all the rivers and reservoirs in the country. Ring doves, turtle-doves and qualls - migratory game, one of the most attractive and dynamic ways of hunting. Hare inhabits the whole country. It is a traditional object of hunting. possible in lakes, dams, mountain brooks and sea. At Bulgarian Property Ltd., we believe that property is the best investment available today. Whether looking to invest as a private individual, as a syndicate group or as an institution Bulgarian Property Ltd. is the perfect partner for you. We have wide experience and contacts both within the Bulgarian property market as well as the international investment community. Give you a fair advice and consult you, perform examination of the market, etc. Make a survey for your property. Build or refurbish your property at the most reasonable price. Help you with furniture buying. We can even help you buy a car in Bulgaria!